Amazing looking example Sean. How many hours do you think you’ve put into it to get it to this point? That engine bay is a work of art! I bet Bruce will take the long way home each day. My 2c: If going local I would recommend BWA Auto. Always very helpful and prompt. Paragon products and Lindsey Racing have a good range of products, including performance upgrades. 944Online have a good range though their postage is high. FCP Euro are excellent on postage cost and quick delivery though they don’t have the largest range of products for the front engined Porsches. Sonnen Porsche Parts have excellent genuine Porsche parts pricing though their postage is pretty pricey unless making a bulk order. Only944 have a small range of original replacement and upgrade parts. Parts quality is excellent, as is postage price and communication. Can’t recommend Kyle enough. What parts are you specifically looking for? Looking good. Can you repost your head gasket photos from your earlier post as they don't seem to be showing? Shame about the head gasket Cabs. Probably irrelevant given the age but how many km’s on your engine? Hopefully will be nice and reliable once you get that batch of work sorted. I've had two exhaust setups on my S2. The first was a high flow cat and a FlowMaster muffler. This muffler is tiny and borders on a straight through setup. It may have been ok for a track car but it was WAY too loud for the street. My house would shake when I started it up and it had horrible drone. I ended up removing it and having Custom Exhaust Specialists (CES) fabricate a new muffler in 304 stainless. The new muffler was much larger than the FlowMaster but it still sounds really nice in my opinion. It is reasonably quiet at low revs and has minimal drone compared to the FlowMaster. It has a nice deep tone to it, probably akin to a Magnaflow which I've had on a previous car. Sounds great in tunnels too! Definately YES. I don't see the feminine side of things, besides red goes faster! Thanks. I ended up getting an Amaron 74AH, 690CCA. My S2 now starts much quicker than with the tiny Odyssey. Very happy with the battery and it fits nicely in the battery tray, even being a 190mm high top model. Congrats Vinny. Can I ask what state she's headed to? Bumping this old thread. I am in need of a new battery for my S2 and seeking recommendations. What is the best factory size (270 x 175 x 175mm to my knowledge) battery available? The higher CCA and Ah the better! I'm also interested in what battery brackets people are using if not running a stock battery (I'm using a tiny lightweight Odyssey at present). I've discovered that the Optima D34 and FullRiver battery that I had my eye on is too tall (200mm). Edit: The Varta E38 (750CCA, 74Ah) is top of my list at present. The width and height (175mm) seem to fit but it's going to be mighty close with the length (at 278mm). This looked like a great buy. Congrats to the pending new owner. Thanks Timm. I’ve got a soldering iron but I dare say yours is better than my cheapie. Will touch base with Jason. Anyone know about the 5w vs 21w bulbs? Thanks for all the comments guys. Sounds like I need to test the wire continuity of my non-functioning tail lights first. I must have bumped the old wiring when doing all the work for the clear indicators. Timm - Thanks heaps for your post. Your bulb setup is exactly what I’d like to do to mine, except with the Only944 kit. Does anyone know why the stock tail light (lower middle red lense) is only a 5w when all the other bulbs are 21w?I was thinking of trying 5w LED bayonet bulbs throughout which will probably still be brighter than the stock halogens. Jason - How are you with a soldering iron and multimeter? We can install the Only944 kit together if you like? Thanks Tingy. Do your lower middle lenses light up with your lights on? Hi Brian The lenses were sourced from Protocast in the UK. Richard was great to deal with. Unfortunately won’t make Saturday as have a family event planned. Does anyone have a wiring diagram showing the routing of the battery to alternator cable on a 944? I.e. is it under the car body or in the interior under the carpet? 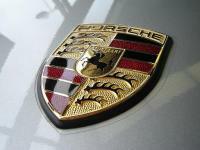 Can anyone recommend a good auto electrician on Brisbane southside, preferably with Porsche experience? I’m looking to get my corroded cable replaced. Hi Bruce Thanks very much for the info re the valves. This is an area I’m sure many of us will keep in mind when investigating wear in the top end of the engine. Hi Bruce Thanks for taking the time to share your learnings. I’m curious on the valve guides. For cars with high wear of the valve guides what do you normally replace...valve guides, valve stem seals, valves etc? I assume there is a correlation between wear of the engine components when there is a history of poor oil choice i.e.if con-rod bearings are worn then one can assume that valve guides and cam sprockets will also likely be equally worn? Great to hear it's up and running. I will be very interested to see the dyno result. Do you have a 'before' dyno by any chance? Any more observations re the driveability? How is part throttle response etc?